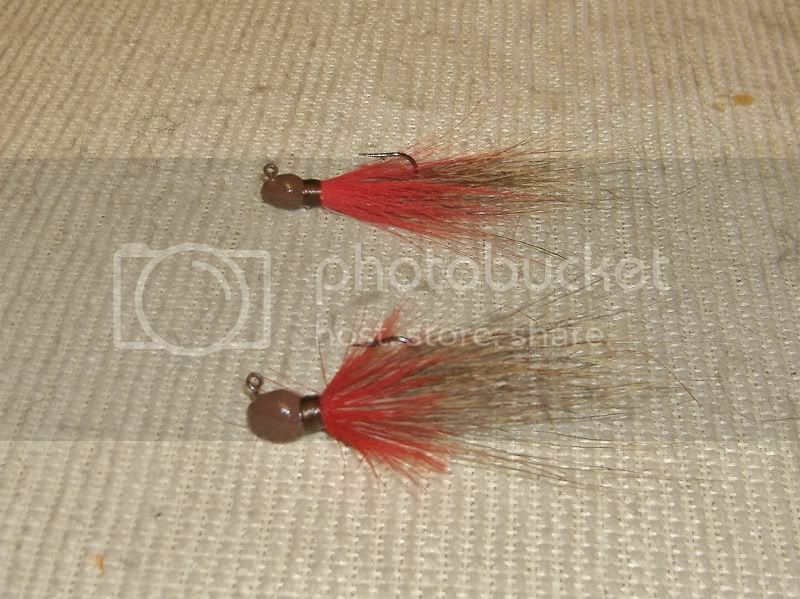 Here are some old school bucktails I did with some inspiration from Fatman's rootbeer jig. 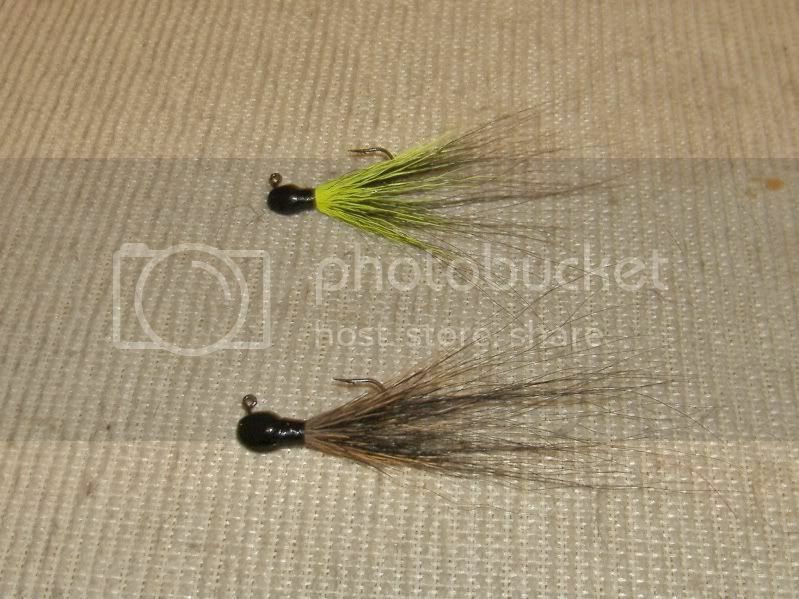 The first set of jigs are black jigheads, the top is 1/16oz with black bucktail tied on first and then shorter chartreuse bucktail is tied on over top of the black to finish. The bottom jig is 3/32oz with the black bucktail tied on and then some shorter natural bucktail is tied on over top of the black to finish. The second set are brown jigheads, the top one is 1/16oz and has natural bucktail tied on first with shoter red bucktail tied on overtop the natural to finish it off. The bottom jig is 3/32oz with natural bucktail tied on first and has red hackle tien on over top to finish it off. All in all I really like the black with natural over top, you can't really see it too good in a picture but the tips of the natural bucktail work really well with the black underneath, this should be a fish catcher. SJ - Very nice!! Clean and streamlined and really nice collars. You should have no problems with those getting bit!! !